(June 29, 1944) -- Pvt. 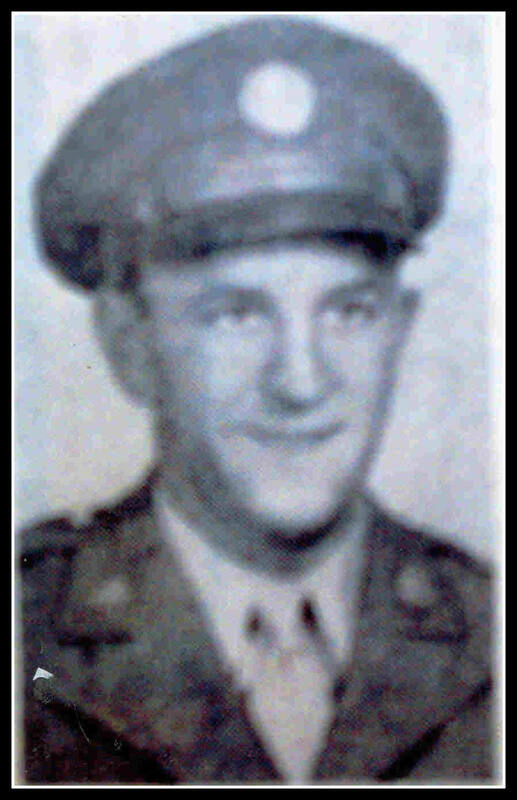 Morris C. Catalano of 14 Belleville Avenue, Belleville, N.J., was killed in action at Anzio, Italy, on May 14 (May 10, 1944). He served in the 351st Infantry, 88th Division. He entered the Army in September 1943. His service number is 42009073. He attended basic training at Camp Croft, S.C.
Pfc. Morris Catalano, 28, was born (June 6, 1910) in Brooklyn, and lived most of his life in Belleville. He attended Silver Lake School. He is survived by his parents, of Bellevue Avenue. His wife and a 22-month-old son, Robert, live in Newark. Pvt. 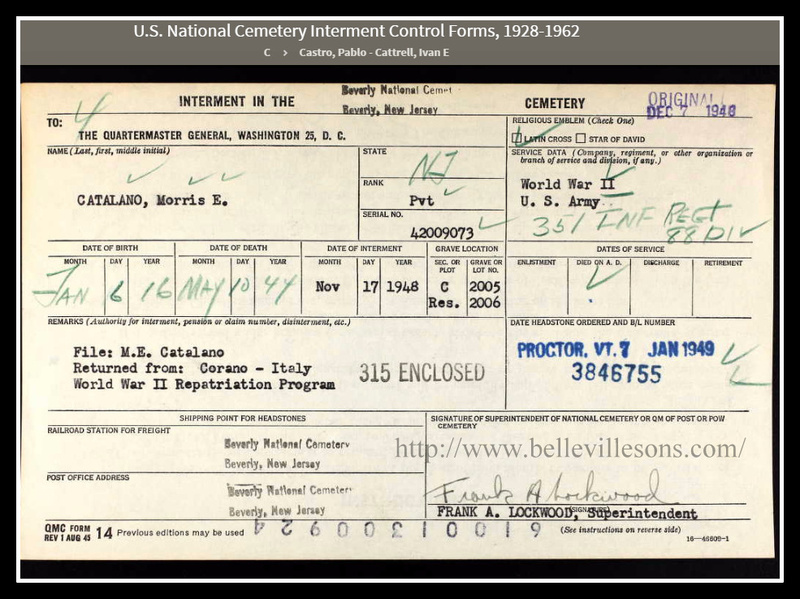 Catalano's remains were repatriated to U.S. soil and interred on Nov. 17, 1948, at Beverly National Cemetery, Beverly, N.J.